X-Bow’s keyboard blends a top-shelf mechanical keyboard with ergonomic design, and we like the result. Forces you to confront bad typing habits. Mechanical switches offer good longevity. RGB back lighting is attractive and versatile. Remap software will launch with release version. Lengthy adjustment period can be frustrating. Certain key placement and sizing seems odd, even after extended use. Post-Kickstarter retail price seems a bit high. Anyone who spends their day typing away at their keyboard is aware of the stresses that can put on your wrists. While there are ergonomic designs that are built to ease that strain, they’re far from a popular choice, and the learning curve is often steep. 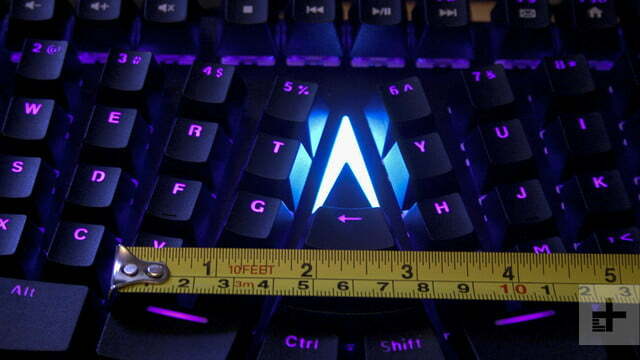 The X-Bows mechanical keyboard is designed to change that. It attempts to reinvent the modern keyboard, while still offering a set of ‘training wheel’ keys that help it feel familiar, and ease the transition. That, at least, is the theory, and we kept it in mind as we used a prototype the developers sent one over on the eve of its Kickstarter campaign launch. Although it lacked the wrist rest and software support promised in the final version, it had all the re-angled keys, mechanical switches, and fancy backlighting of the finalized version. Can the X-Bows improve the day to day typing experience, while also offering a layout that’s not so unfamiliar it instantly leaves you confused? The X-Bows makes quite a dramatic change to the standard keyboard layout. It has a hard split in the middle of the board, driving a wedge between the “G” and “H” keys, and angling them to fit the more natural position our wrists sit in. In the space in the center of the board, it adds new keys for Backspace, Enter, Ctrl, and Shift, splitting the space bar in half as part of the process. These keys are not in replacement of their normal placement, but in addition to, so your hands can return to where they expect to find them, if desired. Be ready to spend time re-training your brain. The number keys along the top follow this same pattern, though the “1” and “0” keys have been vertically extended to cover the “Q” and “P” columns’ shift downwards. 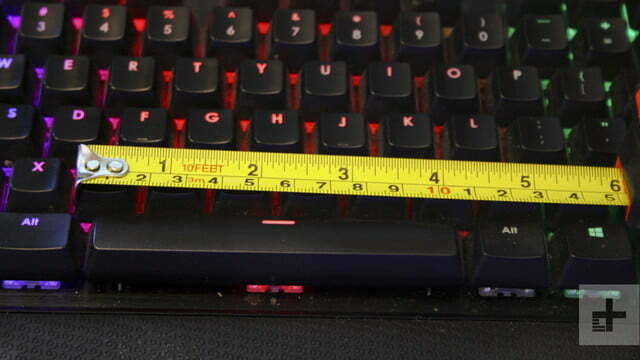 Most other keys remain where you would expect them, though a large number have had their sizes altered for mostly cosmetic reasons. The “Alt” keys, for example, are the largest on the board — which made us wish for a chunkier space bar at times — and the “-” and “=” keys are double height their normal height, too. Most of those changes from the norm are designed to facilitate more comfortable and efficient typing. In many ways, they do, and there’s certainly some innovative design choices taken with this style of keyboard. Yet even with some newly placed keys duplicated in their original positions, there is still a significant learning curve that is frustrating to summit. The main reason more of us don’t use ergonomic keyboard designs, or more efficient keyboard layouts, is because re-learning how to type takes time. Moving to a new layout requires retraining your brain, and that can be frustrating. Although the X-Bows does make an effort to ease that transition, it still isn’t easy. There are several things you’ll need to get used to with the X-Bows. 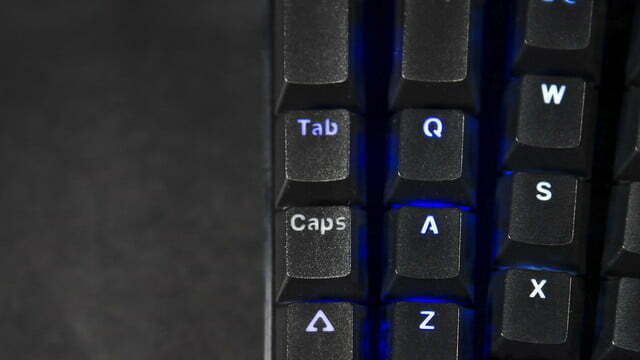 Not only are its keys angled, but the main letter keys are also spaced farther apart than your standard keyboard. Certain keys, like those found in the Q column, are out of line with the rest of the board. We found ourselves repeatedly hitting the “S” key when going for the “A,” and semicolon when going for the apostrophe, for some time during testing. Compared to a standard keyboard, this one requires more hand movement. The ergonomic argument for this is that it keeps you from stretching to reach keys with your little finger, but breaking that habit takes time. At first, we found our fingers continuing to hunt for keys that were out of reach. Although we have slowly come to like the centrally placed keys, they also require a whole new learning experience. You aren’t just re-teaching yourself where to put your fingers, but to use entirely different digits for functions that have been reserved for specific fingers for a long time. 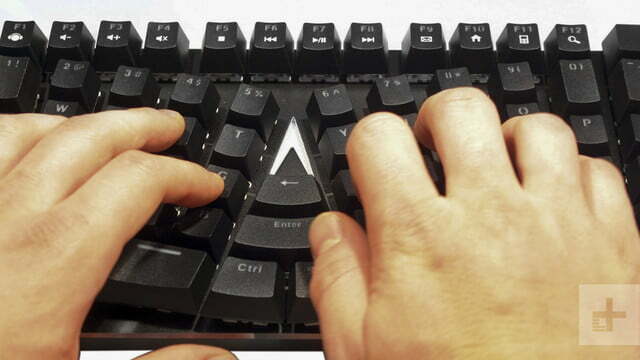 Fortunately, the duplicate, traditional keys for Enter, Shift, Ctrl and Backspace ease that aspect of the transition. It’s also important to know that once you start this process, it is very hard to go back (even temporarily) to a traditional design, as your muscle memory will then work against you in the opposite direction. As you learn it, the X-Bows design forces you to confront your own bad typing habits. Find yourself reaching for right-hand keys with your left hand? That becomes readily apparent when you have to cross the void between the two keyboard halves. Don’t use the keycap nubs to re-center your hands after a frantically typed sentence? You’ll need to on this board. However, the X-Bows design is not perfect. The dropped columns for the extreme edge letters made the learning curve steeper than we feel it needed to be. The huge Alt keys seem unnecessary for such rarely used functions, and we missed native Home and End keys, and found little use for “PgUp” and “PgDn” in their place. We’re also not a big fan of having the “Fn” function key so far from the volume controls it enables. As it stands, its placement requires a two-handed movement for altering volume. If placed on the alternative side — even adding it to the middle would be easy enough — it would allow for one-handed volume control, which is preferable, since your right hand is likely to be holding a mouse more often than not. That’s a function that could be remapped in future too, but with a board so focused on reinventing the wheel, it’s a shame not to have that function in place from the get go. 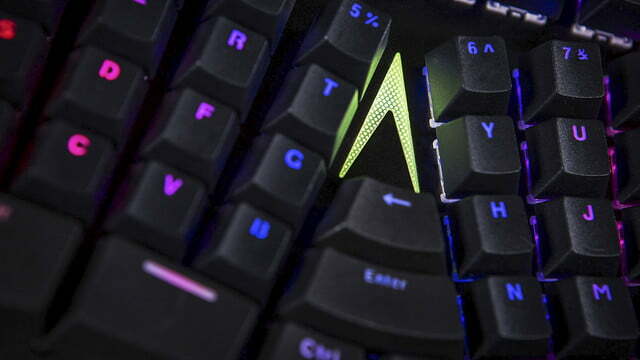 While the X-Bows’ highlight is its ergonomics, it’s a top-shelf contemporary keyboard in every respect. 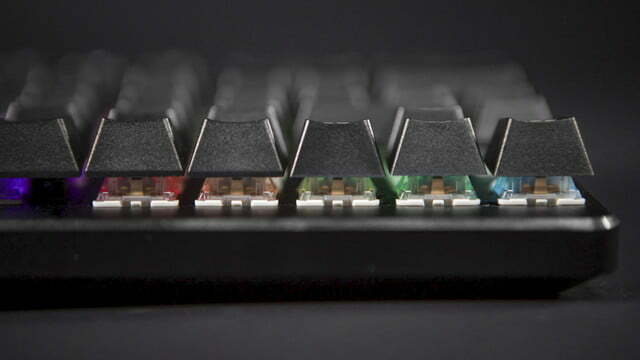 It sports mechanical switches — our test model had Gateron Blues (Cherry MX clones), but brown, red and black options are available – which give it a shelf life of tens of millions of key presses. 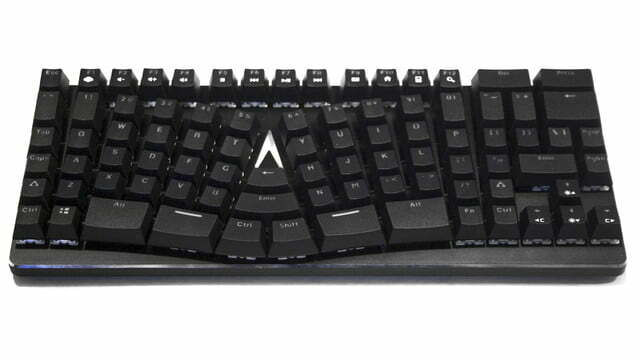 Even with its hefty price tag, the X-Bows keyboard is a solid effort to reduce wrist injuries. 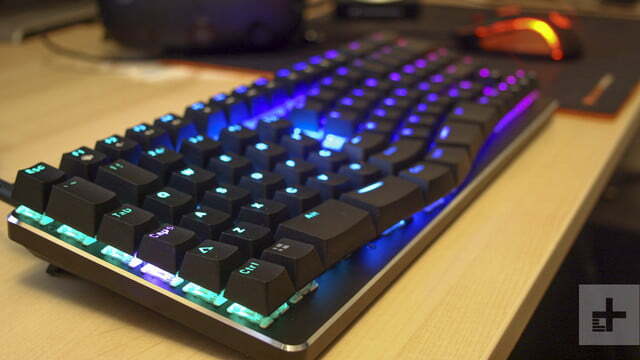 It also has RGB backlighting, and it will ship with a wrist rest and remapping software. These features put it on par with top-tier standard keyboards. The main frame of the board is solid without feeling overweight, and the look is clean and professional. It might lack a some gamer-oriented features, such as USB pass-through, audio jacks, and dedicated macro keys, but not everyone likes them, and rarely are they main reason for picking one board over another. The X-Bows pricing is a little more contentious, as although its Kickstarter pricing of $120 for early birds and $130 for everyone else is excellent value, its eventual $200 retail price is much harder to swallow. That prices it much higher than some of the best mechanical keyboards in the world, which could make it a tough sell once it hit stores. The X-Bows is a comfortable keyboard that has a lot of potential, and it had a positive impact on our hand position and typing fundamentals. That said, while its duplicate keys help ease the transition, they don’t make it simple. Even after two weeks of testing, we are still struggling to hit the same typing speed and accuracy that we did with a traditional keyboard design. Now, though, we’re committed. Attempting to type on a normal keyboard again requires a re-learning curve of its own, and the X-Bows is extremely comfortable to learn. If you do make the leap to an ergonomic keyboard, you’re likely extending the life span of your wrists if you see decades of typing ahead of you (without using your brain). 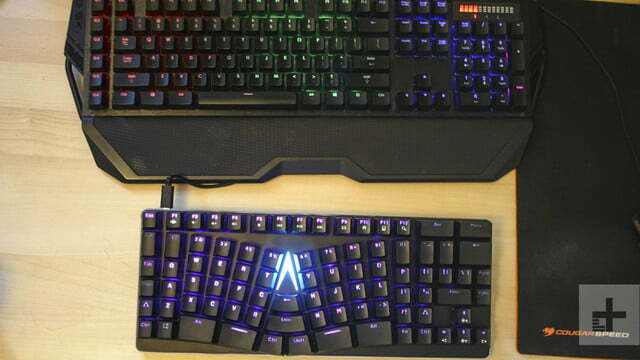 And the X-Bows keyboard solid in other respects, thanks to its mechanical key switches, RGB backlighting, and solid build quality. 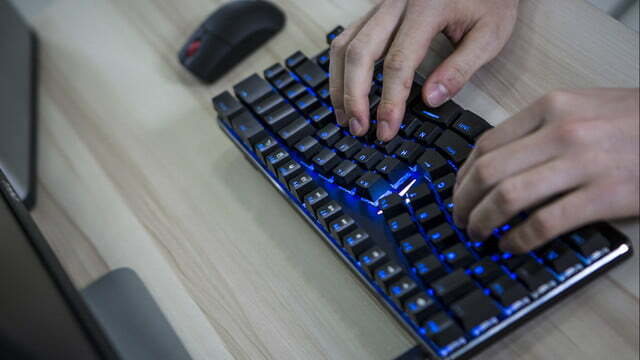 We’re a little wary of what the $200 retail price will do for its competitiveness with more established brands in the mechanical market like the Code Keyboard ($150), or Razer BlackWidow Ultimate ($130). Ditching RGB lighting and mechanical switches lets you go ergonomic for as little as $40 in some cases, too. 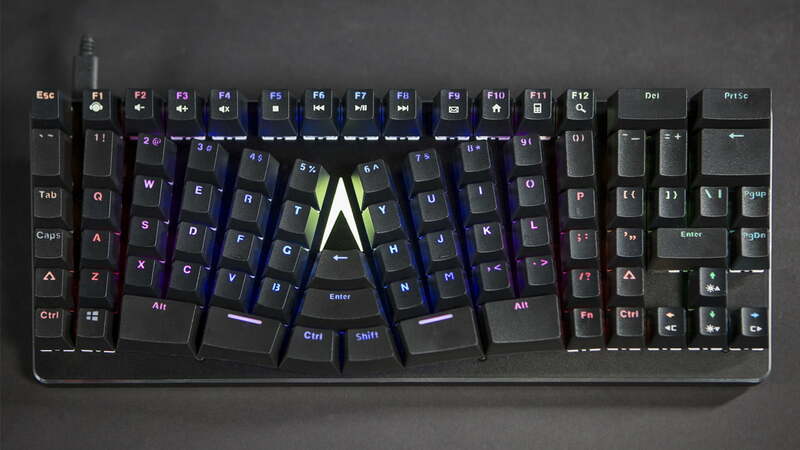 Even with its hefty post-release price tag, the X-Bows keyboard is a solid effort to reduce wrist injuries, and it’s sure to find fans among PC nerds who want an ergonomic keyboard with the high-end hardware and quality they’ve come to expect. 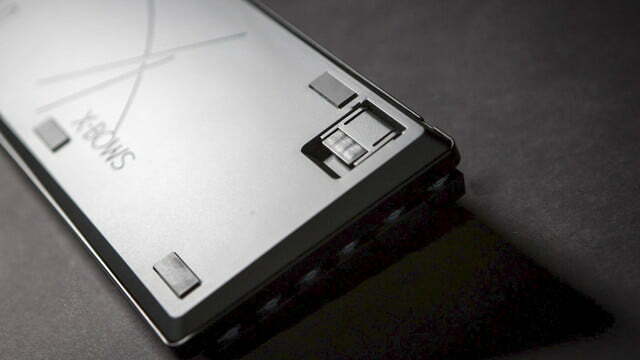 X-Bows’ Kickstarter campaign is currently active, with Early Bird pledges available. The company expects delivery by December of this year. Remember – as with any Kickstarter campaign, there’s an element of risk to the pledge, and the prototype unit we reviewed will differ from the final product.